Our mantra of 'taking tea to the outside' is about our pursuit to get outdoors and be active. Tea has natural health & wellbeing benefits and rather than Team Thom spending their days working at their desks, with copious amounts of tea drinking, we decided to take it outside and take our break times out on a hike, or a run, or on a bike! We firmly believe more creativity and ideas come from escaping your office so THOM'S HIKE CLUB was born! 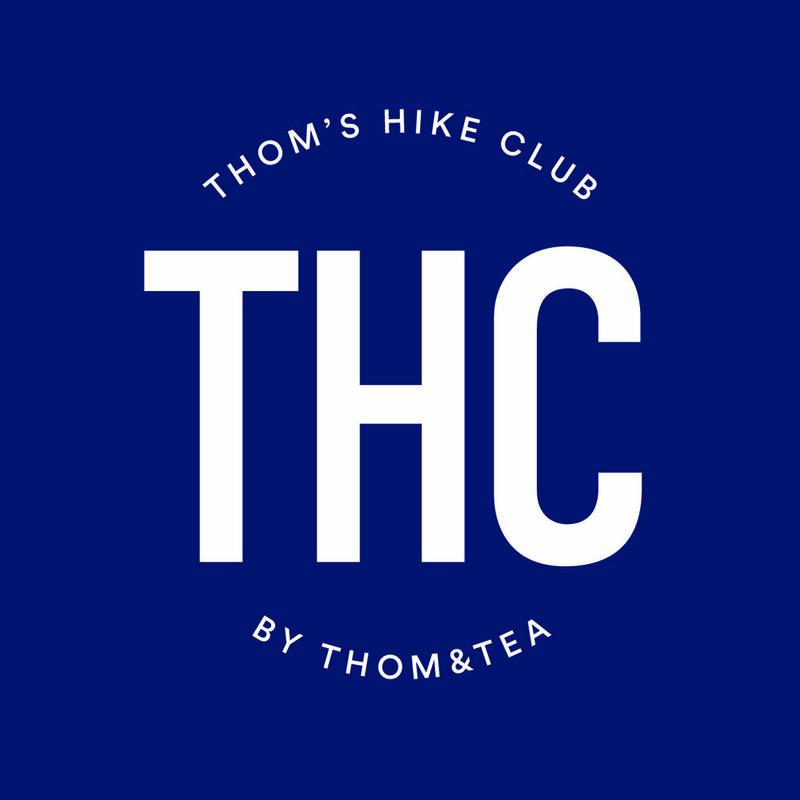 Jennifer Brown and I have teamed up to launch THOM'S HIKE CLUB - a fun and relaxed club helping folks to conquer their fears of long hikes or hill walking and to sign up and join us for organised events throughout the year. We will start with 6 per year, hikes every 8 weeks. Our first test hike took our group of 15 willing and able hikers up the Conic Hill in Loch Lomond & the Trossachs. The group naturally fell into smaller groups along the way depending on pace and the topics of conversation ranged from healthy eating to Yoga to "Are we fair weather Hikers or can we do this in all weathers? "...I hope the latter is the answer! Interestingly, most of the group said they would not do this alone so we believe we have a purpose to gather the Hikers together for fun, relaxed and active organised hikes. In March, we changed things up a gear and took the hike club on the first leg of the West Highland Way. Starting in Milngavie and walking 16 kilometres to Drymen. We were lucky with the weather and great chat carried us along to the half way point where we had a tea stop and lunch. The end point was convenient...the beer garden of The Winnock, Drymen. We met new friends that day and hope to see them again on the next hike on Saturday 23rd June. This is the official launch hike of THOM'S HIKE CLUB. We will be lead by an experienced Hike Guide who will offer advice and stories along the way. Our starting point will be at Hewitt & Aker Deli in Killearn where lunch bags will be handed over and of course, the obligatory tea bags for refreshment! If you would like to 'get outdoors' and meet new friends along the way, click below. We look forward to welcoming you to the club!